Adjuvant radiation therapy has been an established component of curative therapy for early-stage and locally advanced breast cancer for decades, and over this time frame, outcomes have steadily improved, including survival. Longer survival has in turn shifted the focus in breast cancer therapy toward preventing, minimizing, and managing the toxicities of treatment. Clinical decision-making has always relied on a balanced assessment of the benefit of therapy versus the risks and side effects of treatment. This balance has become all the more challenging in the modern era of excellent outcomes for breast cancer patients. 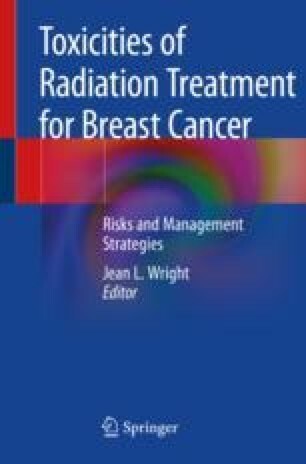 In light of this increased recognition of the importance of toxicity from breast cancer therapy in clinical decision-making, this textbook serves as a comprehensive review of the common toxicities associated with radiation for breast cancer. The goal of this book is to facilitate the individualized assessment of toxicity risk and make recommendations for toxicity management to better tailor and optimize treatment for our breast cancer patients.